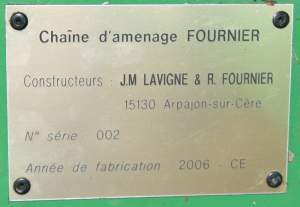 A first leading chain was built in 2002 by Jean-Marie Lavigne and Roger Fournier. 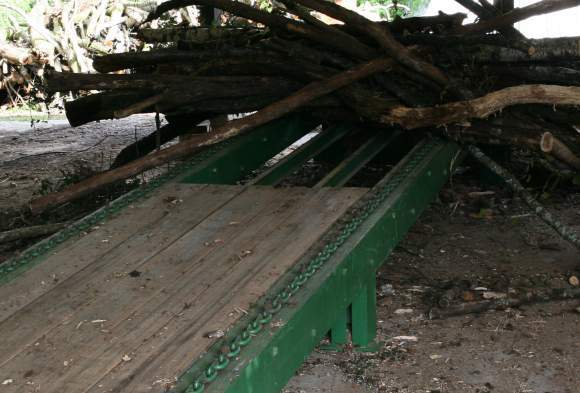 It is linked to the first wood cutting machine. 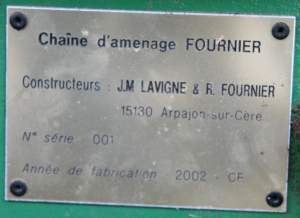 A second wood cutting machine was built in 2006, again by Jean-Marie Lavigne and Roger Fournier, and it is connected to the second wood cutting machine.